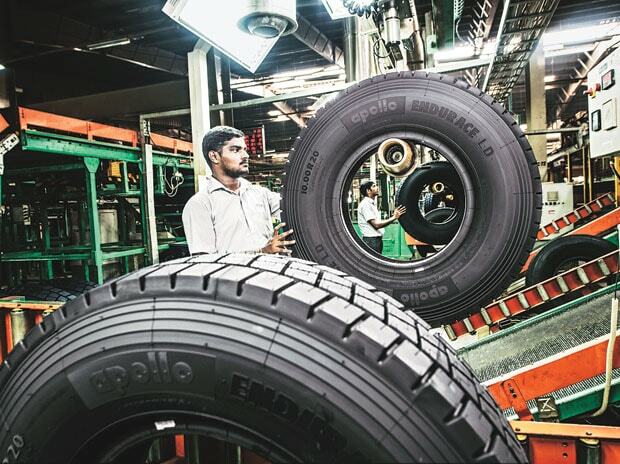 Apollo Tyres expects returns to start accruing from 2021 for the investments it has put in over the last few years across its operations in India and Europe, a top company official said. The company has put in close to Rs 4,000 crore in a new facility in Hungary and has also earmarked another Rs 3,800 crore for a greenfield project in Andhra Pradesh. It has also invested in upgrading its existing manufacturing plant in Chennai, expanding truck tyre radial production to 12,000 units a day from earlier 6,000 units. "We expect the year 2021 where this capex which we have invested to start giving us output leading to free cash generation," Apollo Tyres Vice Chairman and MD Neeraj Kanwar told PTI on the sidelines of 89th edition of Geneva Motor Show. The tyre major expects operations to gather steam in Europe in the next financial year as it starts catering to original equipment manufacturers (OEMs) from its Hungary plant. "Hungary plant has now started to produce around 8,000 passenger car tyres a day and around 500 truck tyres a day...we are gaining market share and growing faster than the market in passenger car segment. In truck segment feedback is very positive. So we are very bullish here," Kanwar said. The company has started supplies to various original equipment manufacturers (OEMs) in Europe like Volkswagen, Ford and Audi and is in talks with the BMW group, he added. The capacity utilisation for passenger car radial segment at Hungary plant currently stands at 80 per cent while for truck radial the capacity utilisation is still below 50 per cent, Kanwar said. "That is why we are saying that FY 20 is the year when we really stabilise," he added. With already strong presence in replacement market in Germany and Netherlands, the company now plans to focus on countries like France, Italy, Spain and UK, Kanwar further said. The company currently gets 95 per cent of its revenues from aftermarket segment in Europe and rest from supplies to OEMs, he added. "It is important to be with the OEMs as over 50 per cent are repeat customers in that segment..we need to take small steps as this is just the beginning," Kanwar said. Commenting on company's domestic business, Kanwar said: "In India as per our vision 2020 we are gunning for leadership positions in whatever product categories we are currently present." The company is currently market leader in truck radial segment and has gained market share in car radial segment, he added. "Timely investment in AP (Andhra Pradesh) will be able to give us next level of growth," Kanwar said. Apollo had commissioned its Hungary plant in 2017. Last year, it announced setting up of a manufacturing facility at Chinapanduru village in Chittoor district of Andhra Pradesh.